There are a lot of disputes, misunderstandings, and court cases that are caused by payment lapses and disregard of payment obligations and responsibilities. If you do not want to see yourself in instances where you need to file a case or you have been called out due to your unacceptable actions relating to payment issues, ensure that you and the party that you will transact with will sign an agreement letter for payment. 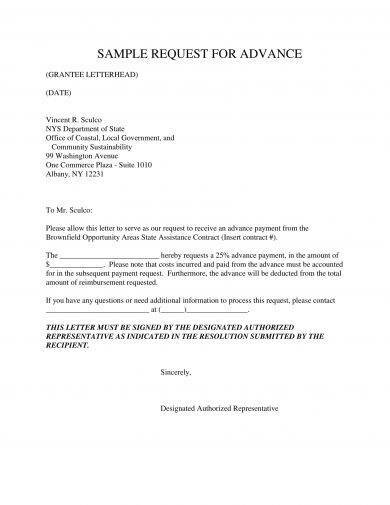 You may also see rental agreement letter examples. 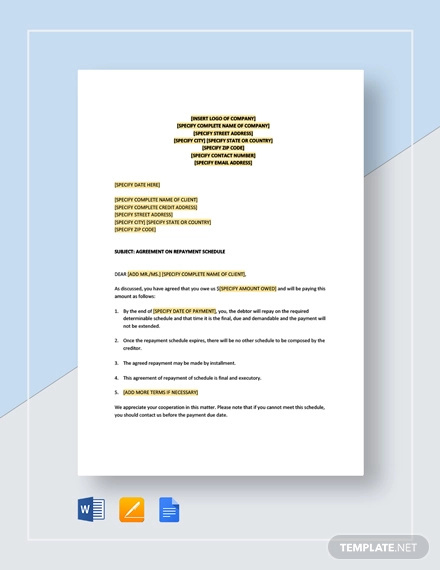 We have listed simple agreement letter examples that present payment agreements and related discussions that you can refer to if you want to create a document that can easily and concisely define all payment terms, conditions, and other clauses that you and another entity have agreed upon. 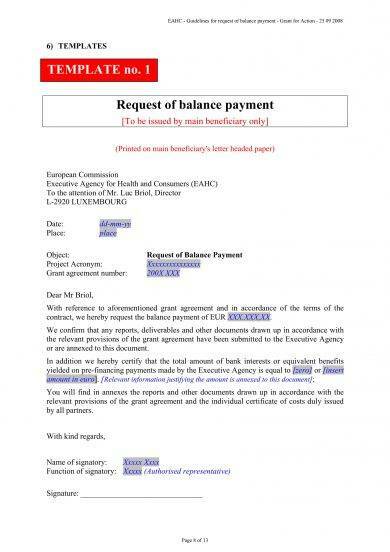 Why Do You Need an Agreement Letter for Payment? 1. In this time and day, verbal agreements, especially those that are relating to exchanges where money and financial matters are involved, will not serve as a strong evidence in any cases of disputes. Having written letter of agreement examples for payment can help you be protected from any inaccurate and falsified claims. 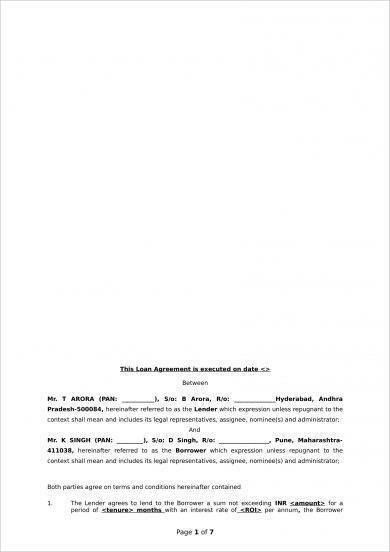 This document defines the entirety of the transaction, the parties who have agreed upon the document’s content, the amount of money involved in the agreement, and the date by which the total amount is expected to be given back to its original owner. 2. 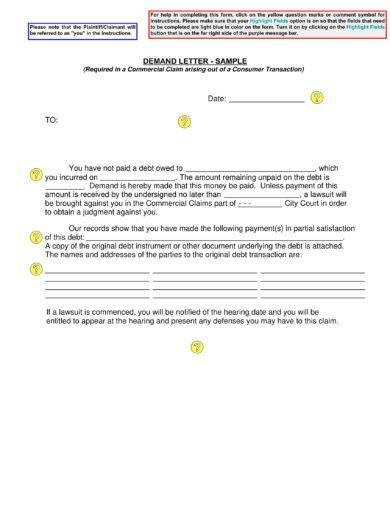 All parties within the transaction can be protected by the content of an agreement letter for payment. As an example, a loan transaction between a lender and a borrower can be properly defined if there is an agreement letter for payment at hand. The borrower can make sure that the payment terms will not be changed within the entirety of the transaction’s duration. On the other hand, a lender can ensure that the borrower is made aware of his or her payment responsibilities, which must be given in a timely manner. 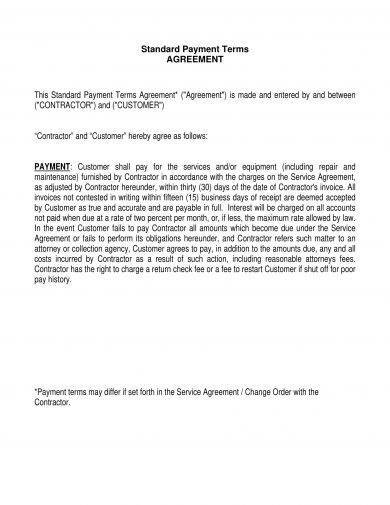 You may also see business agreement examples. 3. During the validity of the agreement, payment terms and conditions can be accurately documented. With this, all parties can be aware of the particulars of the transaction which includes specific monetary amounts, expected dates of payment, and the scope of the payment agreement content. You may also like partnership agreement examples & samples. 1. The names and involvement of all the parties must be well-defined. There should be a clear presentation of the responsibilities and rights of each party so that the entire agreement can be implemented accordingly. 2. Ensure that the provisions of the payment agreement as written in the letter can be easily understood. Any reasonable individual or entity within the transaction must have an idea of the payment agreement letter’s clauses and other discussions. You may also see commercial agreement examples & samples. 3. Develop a title that can already provide what the agreement letter for payment is all about. Your title can be backed up with an initial statement about the particulars of the transaction that should include the reason why payment agreements are necessary to be created and implemented. 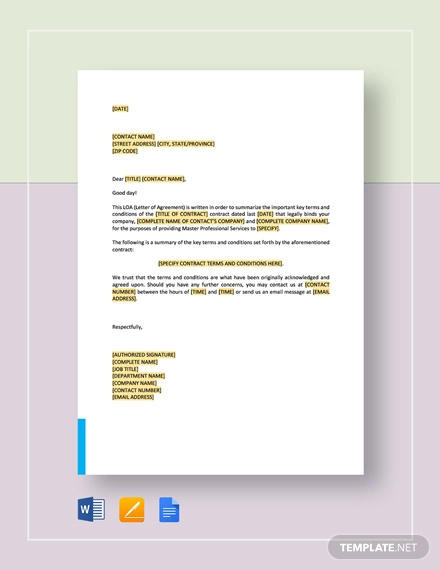 You may also like formal letter writing examples in pdf. 4. Write the total amount that is necessary to be paid at the end of the transaction. Any payment conditions and arrangements must be written as well to make sure that the rights of all parties will be considered and protected. 5. List down all the payment schedules that should be honored by the entity who will pay the listed amounts per due dates. 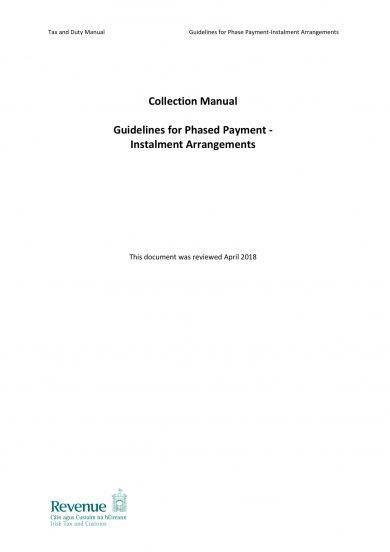 Charges for late payments can be an effective clause which will allow the simple agreement become more helpful and usable in ensuring that payment dates will be taken seriously. 6. Come up with a measurable and reasonable modes and terms of payment. These arrangements must be thoroughly reviewed by all parties to make sure that the clauses for payment terms and other financial specifications are attainable, objective, and appropriately time-bound. Aside from knowing the basics of free partnership agreements, commercial lease agreement examples, and other kinds of agreements and agreement letters, having an idea on how to develop a comprehensive agreement letter for payment can broaden your perspective when it comes to protecting your rights and resources. 1. 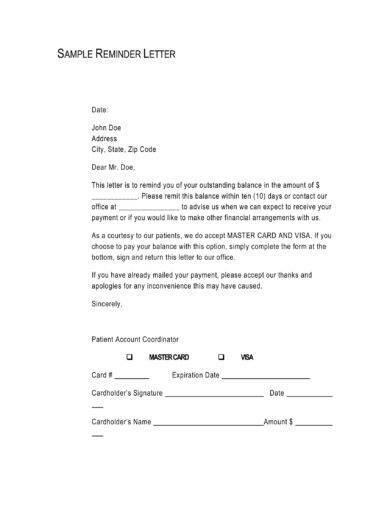 Come up with an agreement letter for payment whenever you want to solidify the identification of the interests that you can get from a transaction. 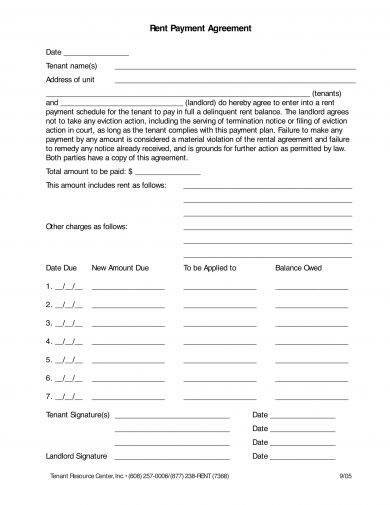 This basic agreement letter can also be done if you want to record the payments that you are expected to provide in a weekly, monthly, or even in a yearly basis. 2. 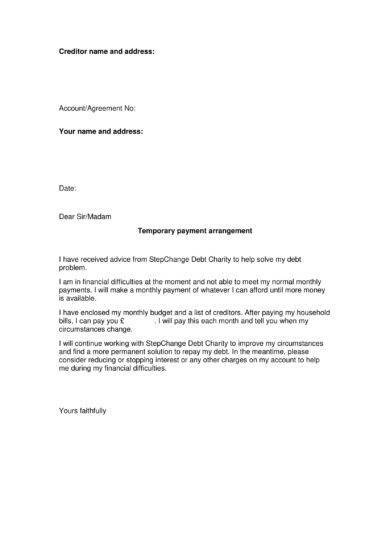 Create an agreement letter for payment if you will lend a particular amount of money to another person. This will help you to remind the individual about his or her debt whenever it is already time for him or her to pay you. Having this document can also make it easier for you to get the borrowed money at an expected time. 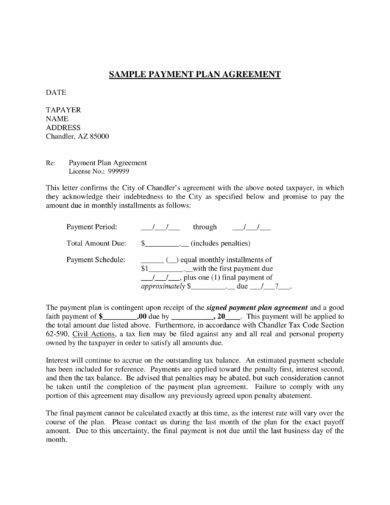 You may also see management agreement examples & samples. 3. 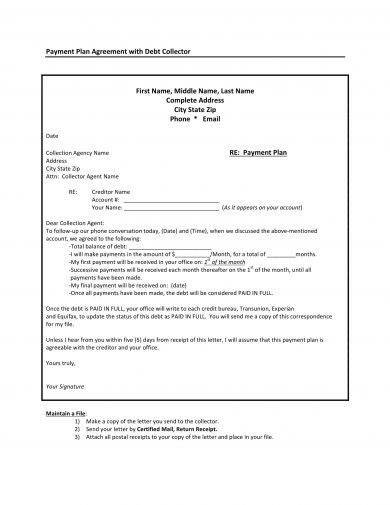 Write an agreement letter for payment if you plan to create an amortization table. An agreement letter for payment can outline the specific demands of the amortization schedule and the proper execution of the payment transactions for the principal borrowed amount to be covered and paid. 4. 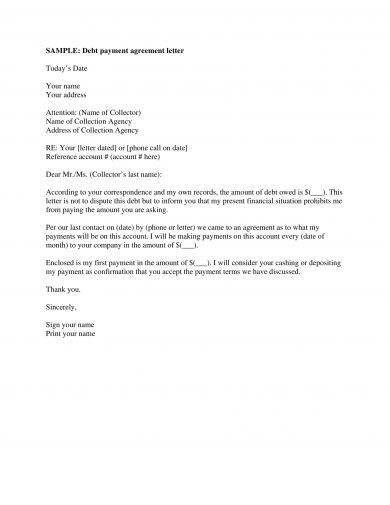 Develop an agreement letter for payment whenever you plan on borrowing money either from a lender or any other entity who can provide the amount of money that you currently need. Having an general agreement letter for payment can present your desire to pay what you will borrow at a given time period. This can help you become more credible and trustworthy. Whether you plan to apply for any kind of loan or you have finally decided to lend money to a colleague, it will be best if you will create an agreement letter for payment. 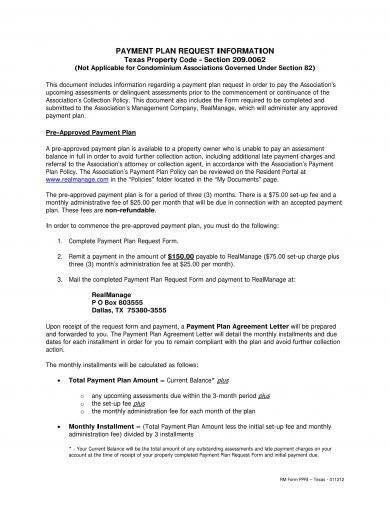 A few of the things that you have to keep in mind when making an agreement letter for payment are listed below. 1. Clearly specifying payment terms and any related articles can make you more confident that the amount of money given or received within a transaction can be accurately documented. More so, a standard agreement letter for payment can provide you with more security when it comes to the achievement of your expectations. 2. 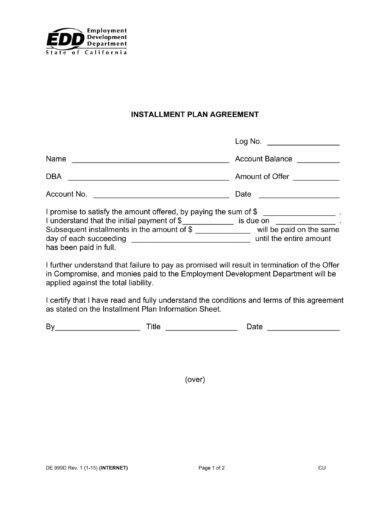 Remember that the usage of an agreement letter for payment is not limited to businesses processes. Private transactions among families and friends where money is involved can also benefit from having a well-defined agreement letter for payment at hand. 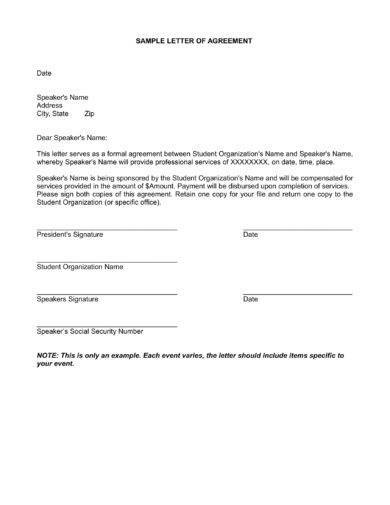 You may also see service agreement examples. With the number of examples that we have listed and the guidelines and tips that we have presented, try to create your own agreement letter for payment and see how it can better any transaction where its usage can be highly beneficial and advantageous.